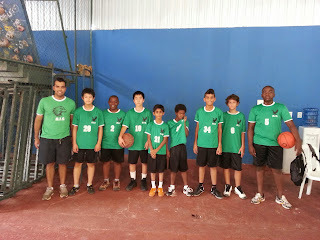 Today the BIS Eagles won their first Basketball Championship! With a win yesterday and three more wins today, the Eagles beat every team in the tournament, finishing in 1st place (undefeated in the tournament)!! Congratulations Goro, Tomohiro, Farhan, Lucca, Linus, Salvador, Iyaloo, Daniel, Omair and Coach Batista. You guys are CHAMPIONS!!! Photos with medals and trophies coming ASAP. Scores a perfect 3 point shot and the Eagles win 32 to 31!!! Unbelievable finish. Great job boys!! We still have two more games today. The JV team is off to a great start in the tournament. BIS beat EDN 28 to 14 on a very exciting game tonight. Goro was named player of the game. We'll have 3 more games tomorrow at 1 pm, 4pm and 6 pm. Come cheer for the Eagles! Great job to all the boys on the team tonight. Goro, Tomohiro, Farhan, Linus, Salvador, Daniel, Iyaloo, Omair, Lucca. Brasilia Sports League - basketball results / standings. At School of the Nations (Lago Sul). - Please plan your schedules and transportations. - October 23rd , Wednesday, 4pm to 5pm, at EAB (605 Sul). 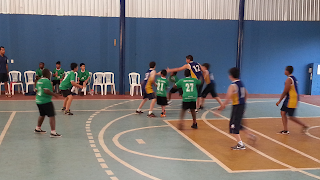 o BIS vs EAB (Escola Americana) for the Varsity Team. o Please plan to be picked up at 5:20pm at EAB (605 Sul). o If you would like to come watch this game, please email coach Batista (coachbatista@gmail.com) in order to be added to our list. October 25th & 26th, Friday and Saturday, at EDN (School of the Nations). o Nations Cup Tournament for the JV team. o More details about the schedule will be posted soon on our website. o BIS vs French School (Varsity team). o This game is for the varsity team only. o In case of rain this will be rescheduled. 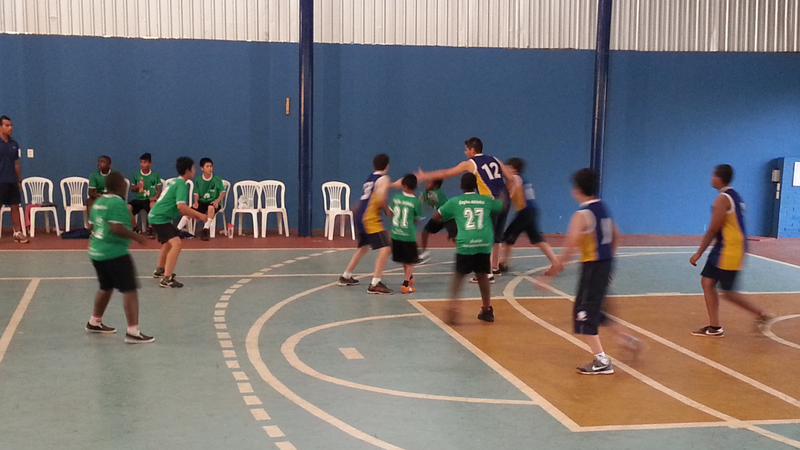 o BIS vs French School (JV team). o This game is for the Junior varsity team only. - Parents and friends are welcome to come cheer for the Eagles! - Should you have any questions please contact me – coachbatista@gmail.com . Thanks, Coach Batista. The boys basketball game on Friday was cancelled due to the weather. Now we will make up this game on Monday, 4pm at School of the Nations. Varsity and Junior Varsity teams. The Junior High boys played the best basketball game so far this season. With no subs we played against EAB who had 13 players on their team. At half time we were more than 10 points ahead of the Bulls. In the last 2 minutes of the game EAB hit a few three pointers which was just enough for them to score one more point than the Eagles. Final score was 33 – 34. This was an excellent display of good basketball, team work and courage!